A story set in Ancient Egypt. 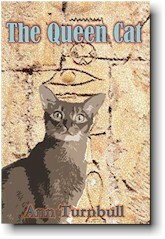 Mew-sheri searches for the one special cat who will be queen of the temple of Bastet, the cat goddess. “Full of brightness and verve…as well read aloud or alone.” Telford Journal, 1989.